The freshly renovated Halinka Lodge exudes spacious, yet cosy alpine style. 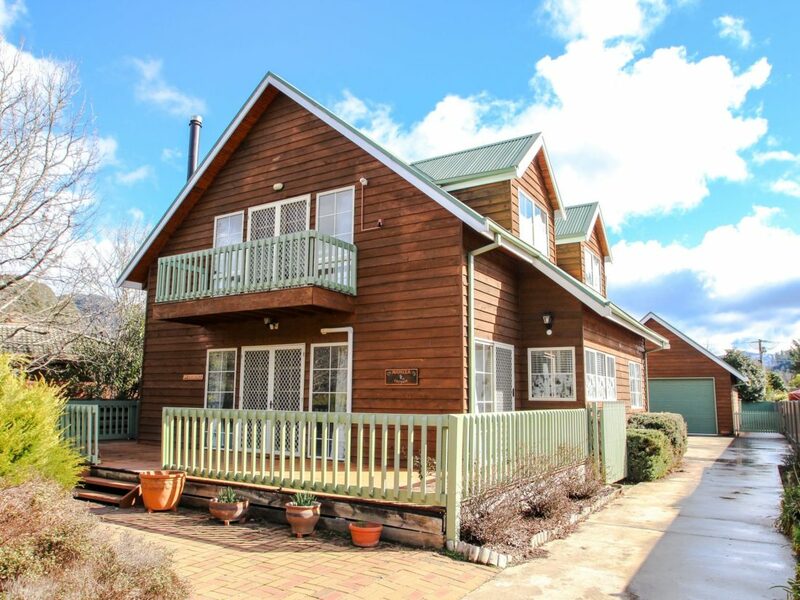 High vaulted timber ceilings and alpine ambience combined with fresh styling and updates, makes this roomy four bedroom family home the ultimate mountain getaway destination. In winter, cosy around the wood fire with a good book before hitting the ski fields. In summer, open the double doors and let the mountain air flow through then make your way to the river and splash park. Your spacious living zone features comfy lounges and flat screen television/DVD, wood fire and reverse cycle heating and cooling. The new fully equipped kitchen has everything you need to feed the family or enjoy a barbecue on the back deck. You will love the huge flatbed barbecue – perfect for that bacon and egg breakfast for the tribe. The main bedroom features a queen bed with all bedding and linen supplied with a modern bathroom, shower and separate toilet. At the end of the hall, you will find a second bedroom with two singles and a television, perfect for the little ones to snuggle up with a movie. Up here is your sunny master bedroom. The spacious room with gorgeous vaulted ceilings and double doors leading to your private balcony, features a comfy queen bed and flat screen television. A huge walk through robe leads into your ensuite with corner spa. perfect for relaxing after a day exploring the region. The second level also includes a fourth bedroom with double bed base/single bed bunk, ideal for little people with plenty of space to play. Next door you will also find a third bathroom with shower and toilet so there is definitely plenty of room for the whole clan. You can bring your furry friend on your holiday at Halinka Lodge too.